You must have heard that emails are the best asset a marketer and blogger can have. But what they do with those actually? They use those email ids for marketing and pitch the person to buy something and in response, they earn some commission which is known as affiliate marketing. But this is not as easy as it sounds too. You need to take the person in confidence whom you expect to buy your recommended product. There are many articles on the web which you can refer to start with affiliate marketing. You will have to send series of emails to first take that person in confidence before getting sell. And definitely, this is not possible to do manually. For such work, you have many tools available which will make all your work automated. Recently I have come to know about one tool Benchmark email and I can it is one of the best email marketing tools I have used. I am using Benchmark Email since some time now and here is Benchmark Email review based on my experience. 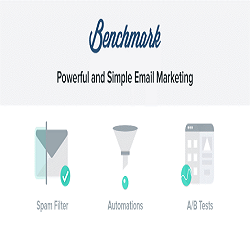 Benchmark is Powerful and Simple Email Marketing tool designed to scale your email marketing campaigns to get maximum benefits. You can create sign-up forms, collect the leads, send the scheduled emails, make follow-ups and check the reports as how those are forming. Also, you can integrate all the major stores to get the direct and convenient sales like Twitter, Magento, Google plus etc. With some great designs and contact management tools in the industry along with generous plans suitable for lower budgets, Benchmark Email is appreciated by both experienced, technologically oriented marketers and smaller organizations with less savvy. There are plenty of features Benchmark Email is providing which makes them a leading email marketing company. Apart from the fact that you can start using almost all the features of this tool FREE if you have the number of subscribers up to 2000; there are many more features as shared below. 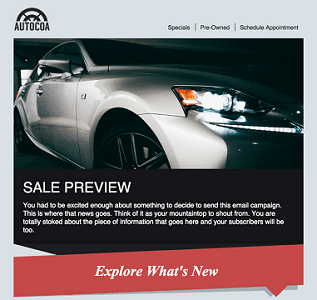 Designing a campaign in Benchmark Email is a game of just minutes. With the help of their drag and drop tools, you can create stunning email campaigns in minutes which will really convert. Once you have dragged and dropped the required sections, it’s time to edit those. Benchmark support live editing options and so you can check the preview as how it will look. Also, all the emails will be highly responsive and so no need to worry whether your email receivers will open it using a mobile phone or desktop. It will work great on all the devices. If you want to say thanks or welcome your newly joined subscribers then you can do so using auto-responders. You can also send some docs/links etc. if your campaign demands so. These can be easily done using Benchmark Email interface. This is one of the best features any email marketer would like to have. There are multiple templates available which you can use and even customize those for the less effort and great result. There are around 20 categories, including product promotion templates; newsletters; event invitations; seasonal and holiday greetings; and even specialized templates for restaurants, real estate offices, and religious organizations. 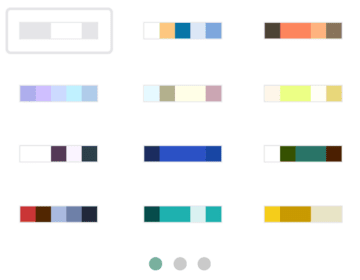 You can also change the color as per your need of your template. You can change the look and feel and make it more easy and convenient to read. Also, the live preview option is helping you to check the design change in real-time. This is a great feature I liked with Benchmark Email. If you are an HTML savvy and like to design your own template, you can do it easily. Just design the email template like you do in the text editor and using the dual view check the output design there itself. Users can create and arrange their contact list, do clean up for the inactive emails. You can also arrange the lists according to demographics, needs, and demands of the customers, etc. Benchmark Email also allows its users to import contacts via .txt, .csv and .xls file formats. You can also import your Hotmail or Gmail contacts. They have a dedicated team to help you in any situation. You can connect with their support team through phone, email and live chat support. Also, when you will sign up, you will receive an email from your assigned account manager with the links to videos and articles to start with. It will also have the point of contact from support side whom you can reach in case of any difficulty. A/B or split testing is one of the best ways to find the diamond for you. Let’s say you have 10k subscribers and you want to send one email to them. Don’t just send a common email to all. Instead send a 3-4 variation of emails by changing content, images, heading etc. and see what’s working great for you. Once you have sent the emails, you can get the report of that campaign. From that report, you will come to know how your campaign has performed. It will have all the details like how many people have opened, how many clicked on the linked, sales information and much more. You can start with Benchmark email for free as well. Their starter plan is free and you don’t even have to provide the credit card information. If you have 2000 subscribers and you are not sending more than 14000 emails per month then it is free for you. 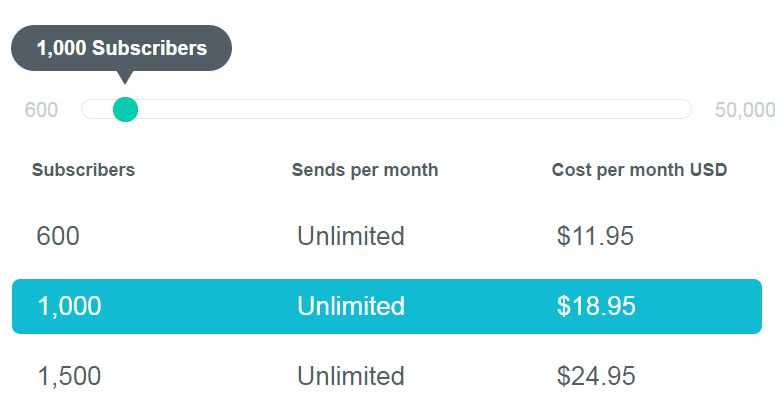 In paid, there are different plans and all are customizable. Depending on the number of subscribers you have, you can select the plan that fits you. Benchmark Email is one of the top email marketing company currently. Their delivery timing, designs, and pricing are something one should definitely look upon. If you are an internet marketing working with Emails for the leads and sales, you should definitely try Benchmark Email once. Which email marketing tool you use?